How strong was Sony's PlayStation lineup at E3? So strong that it STARTED by revealing the long-awaited Last Guardian. Mic drop. 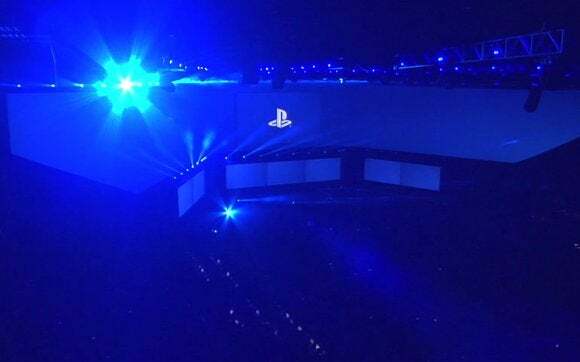 Sony's E3 PlayStation lineup was so insanely strong that it kicked things off by announcing a game that people have been begging for for more than a full console generation. Anything anybody's asked for in the last decade, Sony pretty much delivered today—at least in preview form. Let's dig in. 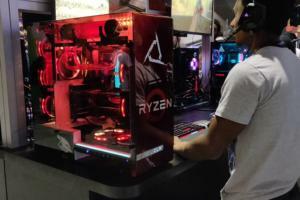 And be sure to check out our prior coverage of the Bethesda, Microsoft, EA, and Ubisoft events for the full low-down on the biggest E3 reveals—especially Bethesda's if you're a PC gamer on the side. Wow. It actually happened. 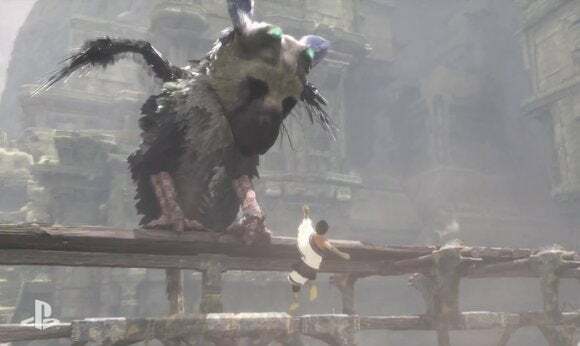 Sony led off with The Last Guardian, a game that's been in development so long it literally skipped an entire console generation. A game that had become a Duke Nukem Forever, a Half-Life 3 style punchline. No longer. The birddog-and-small-child follow-up to Ico and Shadow of the Colossus still exists, and it looks gorgeous. And it's supposedly coming in 2016. 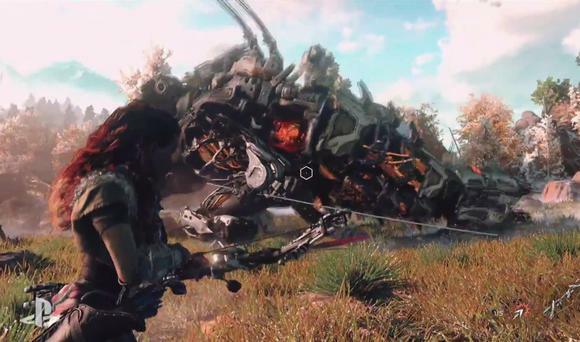 Next up was Guerrilla Games unveiling its own new game, Horizon Zero Dawn. Honestly I felt bad because who the hell wants to follow Last Guardian? But then…it was surprisingly great! The game looks similar to that show Revolution—the one where the power went out everywhere and then humans had to adapt to a primitive, non-electrified society again. Except in this game, there are also weird metal dinosaur-like things and crazy Tomb Raider-esque platforming/bow-hunting. I much prefer this to another Killzone. Square Enix hit the Sony stage in advance of its own presser Tuesday morning, showing a brief CG teaser for Hitman. No real details on this one, though. 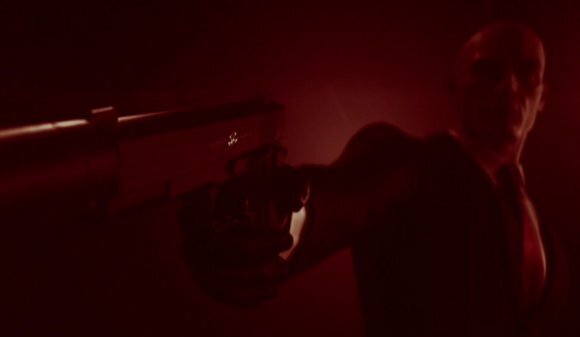 Agent 47 is back. You travel around assassinating people. And the specter of console-exclusive DLC reared its head, with six missions exclusive to the PS4. 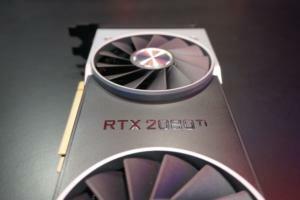 Regardless, the reveal was light on info. It was more of a "Hey, don't forget, we're making Hitman." I expect we'll see more tomorrow morning. Bungie threw out a trailer for yet another Destiny expansion, The Taken King. I bet when this one releases, people who are deep into Destiny swear again "Oh wow, this is the expansion that makes Destiny actually a fun game!" And then a few weeks later they'll all admit the game is still sort of a story-less, repetitive grind. And then the hype for the new expansion will begin. 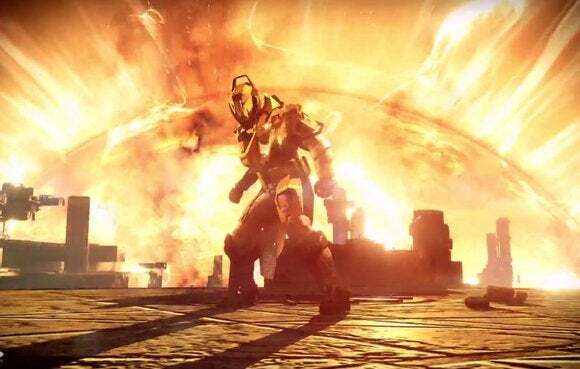 If only Bungie didn't saddle its excellent gunplay with such a lackluster game. 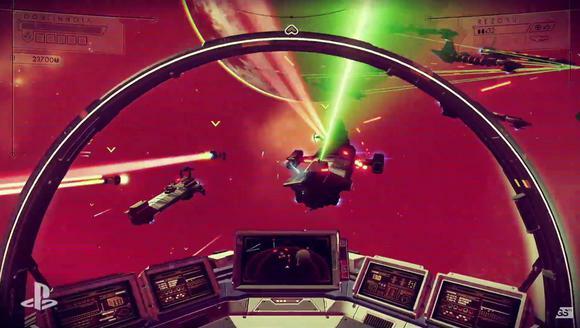 You've already sold me on No Man's Sky. A million times over. 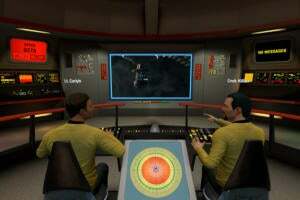 Limitless exploration. Procedurally-generated worlds. The true frontier experience. I want it, just for the concept alone. Instead we got another demo, this one showing us how enormous the universe is (very enormous) and a live demo of space-to-ground flight. We landed on a planet with yellow grass, some red shrubs, and some weird rock structures that looked vaguely man- (or alien?) made. But still, I don't know what to do. "It's got trading, fighting, exploring, survival…" the developer said at the end, but I still don't feel like we've seen any of that. I hope it's as good as I want it to be. I don't even really know. It's called Dreams, and as with LittleBigPlanet it's looking like a cross between an actual game and some sort of crazy player-generated content tool. Expect more details soon. 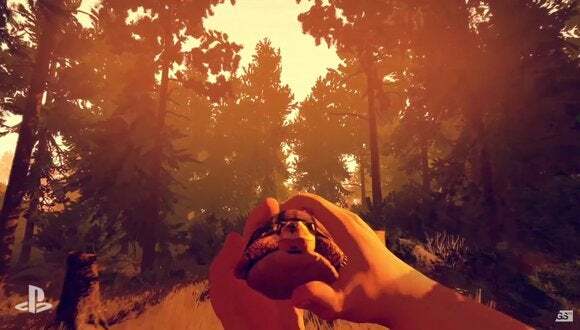 We got another look at the upcoming game from Camposanto, Firewatch, although there weren't many new details about this one. 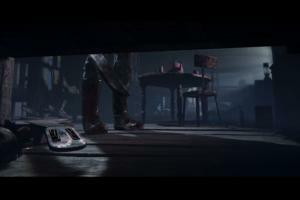 The brief trailer showed some more exploration of the empty wilderness—for instance, exploring an abandoned mine. But I feel like now we just need a release date for this Gone-Home-meets-My-Side-of-the-Mountain tale. 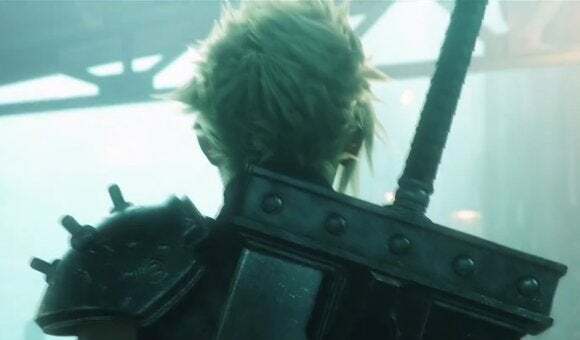 Sony's first Final Fantasy news of the night was neither the rumored Final Fantasy VII remake nor a trailer for Final Fantasy XV. 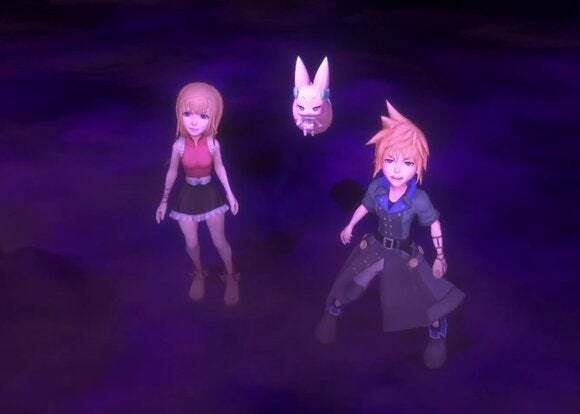 Instead, it was "World of Final Fantasy," some sort of "All these characters are cute and tiny" take on Final Fantasy. But don't fret: The Final Fantasy VII remake is on its way. Surprise. Sony had its own "Indie Montage" moment, albeit restricted to a single (not-quite-indie) publisher. 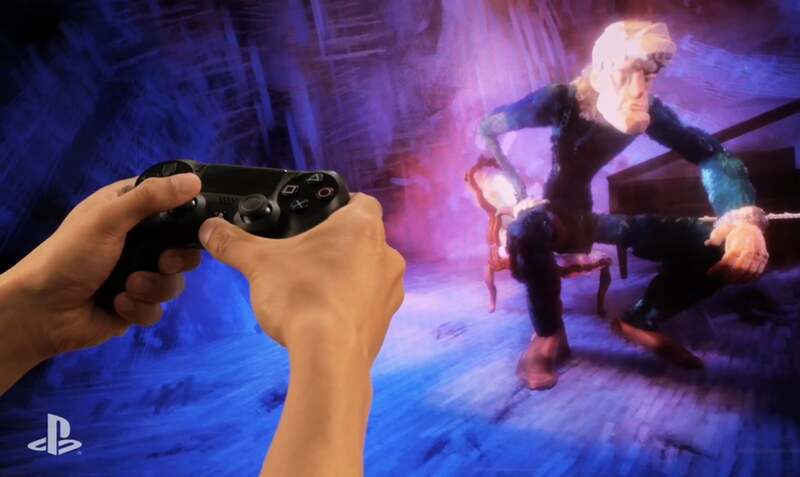 All of Devolver's games got thrown into one crazy trailer during Sony's presser. 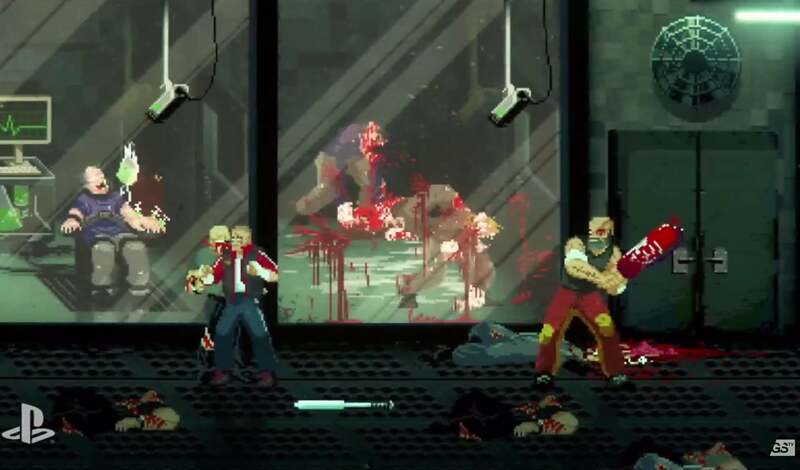 Mother Russia Bleeds, Crossing Souls, Eitr, and more Devolver titles are coming to PS4 first—but, you know, coming to PC also. We'll have more opinions about Devolver's slate of semi-indie games later this week, when we go hands-on during E3. 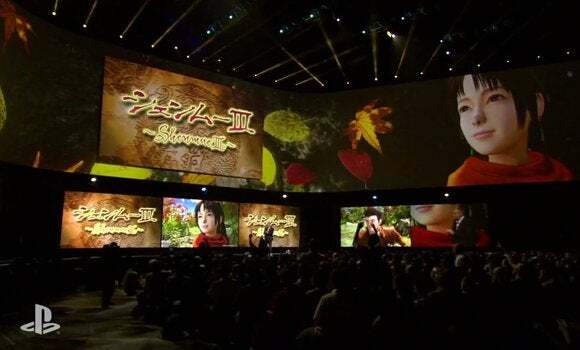 Continuing the Sony trend of "games you never thought you'd see," Sony showed a brief teaser for Shenmue III. The weird part? It was an ad for a Kickstarter campaign. Sort of an odd fit for an E3 press conference. 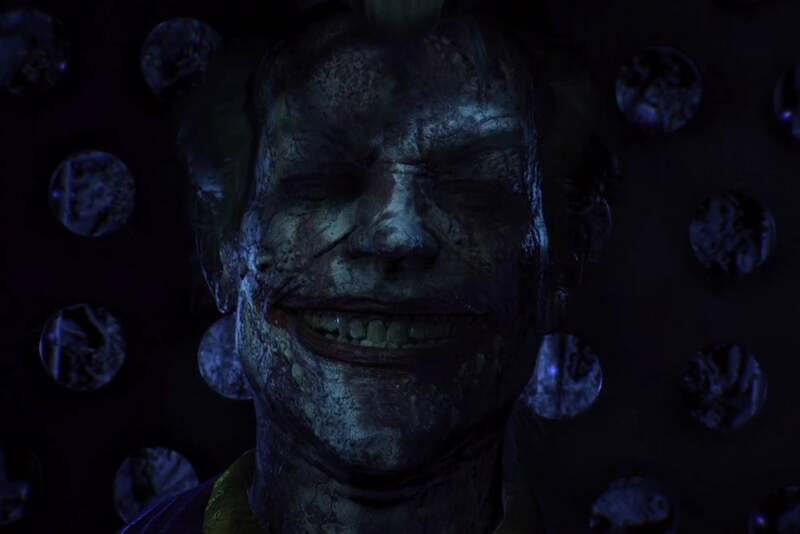 Remember how Batman: Arkham Knight literally releases next week? Well…yeah. Apparently that doesn't excuse us from sitting through a lengthy trailer. This one was for some PS4-exclusive missions featuring Scarecrow, and if the psychotropics in the game are anywhere close to what was in the trailer, PS4 owners are in luck. 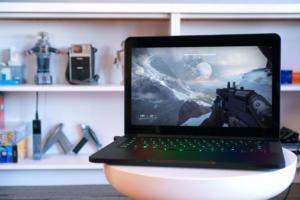 And I'll just be sitting here playing on the PC in 1080p, 60 frames per second instead. 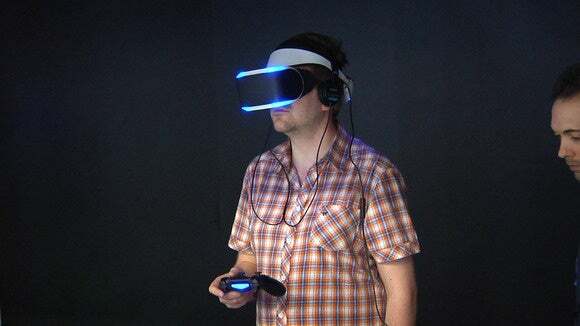 While Xbox is partnering with Oculus, with Valve—with basically any third-party VR headset maker—Sony is still pushing its own proprietary headset, Morpheus. Apparently Sony's big push is going to be that Morpheus is good for multiplayer, though I don't know how they'd say it differs from the Rift or the HTC Vive on that front. You're still strapping a screen onto your face and playing games in relative isolation. But we'll see! Despite having some of the biggest games in the world, Activision still (for whatever reason) doesn't hold its own E3 press conference—which means Call of Duty: Black Ops III gets to show up at Sony's presser instead. 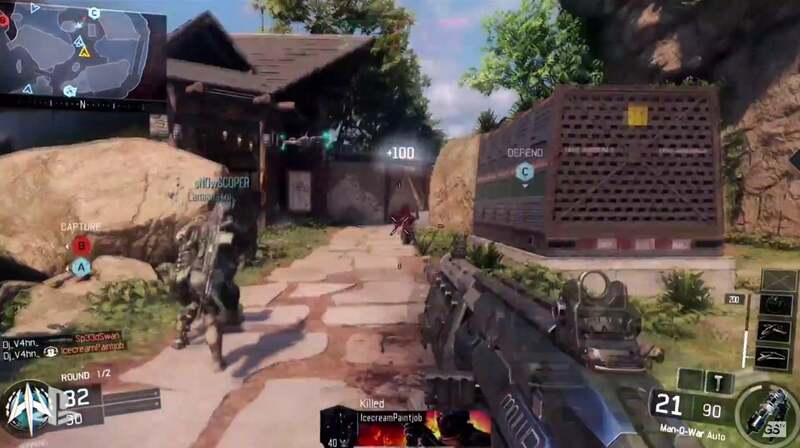 Unlike the Cold War politics of the first two Black Ops games, Black Ops III seemingly advances the timeline further into near-future warfare. Personally I think that makes the game look a lot less unique than its predecessors, but maybe they'll pull some timeline-hopping stuff like the second did. And one key change: You can now play the campaign in co-op. 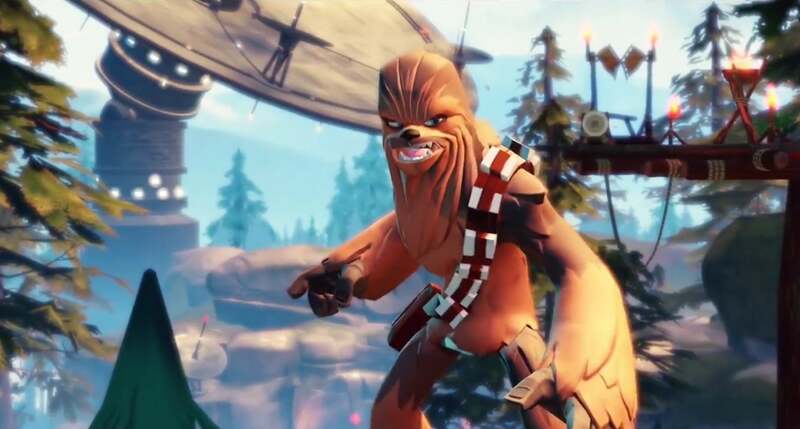 We already sort of knew this one, but Star Wars is coming to Disney Infinity 3.0—meaning at this point Disney's enormous toys empire contains its own characters, Marvel characters, and Star Wars characters in the same exact game. If I were willing to decorate my entire apartment in action figures, this would be the most amazing time to be alive. As for the game side of this "toys-to-life" equation, we saw at least one level storming the Death Star, one level on Hoth, and someone flying the Millenium Falcon. Hopefully it plays as well as it looks. 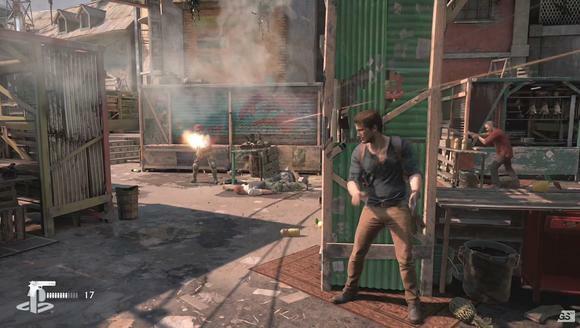 And then there's Uncharted 4, another one of those games we've seen over and over but are still waiting on. Today's press demo…crashed. First. But once Sony resolved the tech issues, we saw Drake and Sully walking through a gorgeous Caribbean marketplace, having a peaceful time, enjoying the sun—oh, and then people start shooting and everyone dies and it turns into a whole mess. Also, Drake leapt off a rooftop and managed to Superman-punch some dude when he hit the ground. Beautiful. Uncharted is all about spectacle, and Uncharted 4 has spectacle in spades. The only thing that could've made this better is a release date. 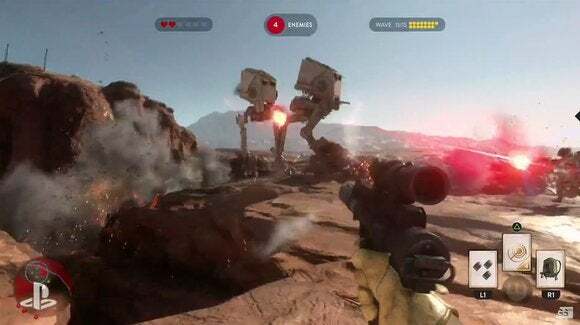 Maybe we'll get one of those at the next E3? And since Sony is the last press conference of the day, we got a few repeat demos—not so much in content as in features. Assassin's Creed Syndicate and Star Wars Battlefront both had major presences at Sony's show, with Battlefront's actual-game-footage trailer looking particularly interesting (and way better than the one in EA's conference). But as far as new details go? Nah. Both games still exist, and the PS4 is their primary console platform. That's about all you need to know.